The best-known groups of global Islamic Jihad, namely al-Qaeda, the Islamic State, and their various off-shoots have seemingly been on the decline lately. However, Western intelligence agencies warn that the fight against these extreme Muslim groups, is far from over. To discuss the dangers of Islamist groups and their Jihad against the West. 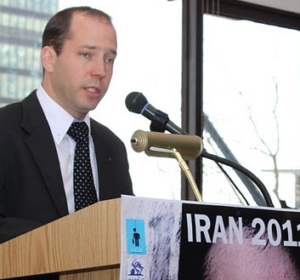 – Mr. Elhanan Miller Researcher, The Forum for Regional Thinking. 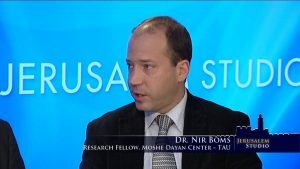 – Dr. Nir Boms, Research fellow, Moshe Dayan center at Tel Aviv University. Following months of preparations, the Iraqi army and Kurdish ‘Peshmerga’ forces backed by the US-led coalition have launched an operation to recapture the Islamic State-held city of Mosul. The city is considered-to-be the most significant stronghold of the extreme Muslim group in Iraq, from where the leader of the Islamic StateAbu Bakr al-Baghdadi declared a caliphate in 2014. It was a cold November night and the Publisher for L’CHAIM and I met with Dr. Nir Boms at The French Gourmet in Pacific Beach. It had been a little under a month since the French terror attacks, and the after the non-stop media coverage the world seemed to have turned sour. Newscasters recommended that people watch out for stray packages in malls on Black Friday. Nations were reconsidering allowing entry of countless Syrian refugees, and social media was abuzz with satirical memes depicting every Muslim as a potential suicide bomber.